Ogitech enable provides low-cost die with stable quality and delivery time which is under our management. 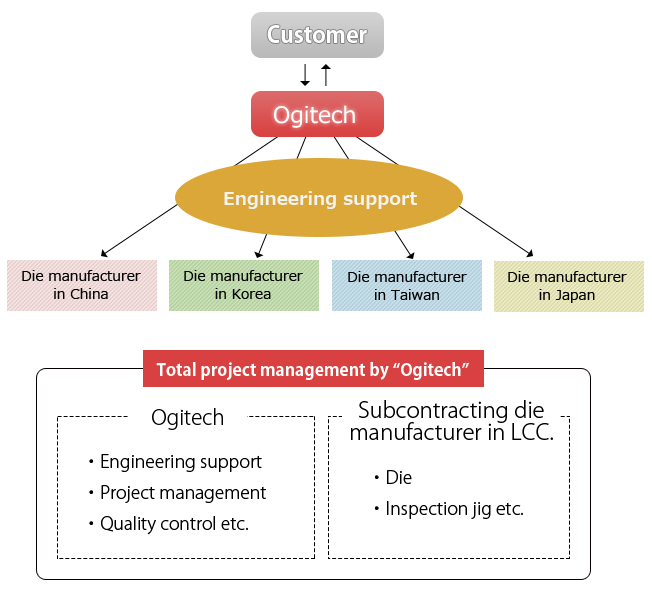 Ogitech enable to reduce of manufacturing cost by cooperated with LCC (Low Cost Country). Copyright©2015 Ogitech Corporation. All rights reserved.